Tara has been a special education teacher for the past 16 years. In 2009, she decided to return to school to become a clinical counselor. It took six years, a ton of driving and an insane amount of work but Tara eventually got her Masters of Education in clinical counseling. Tara’s interest in counseling came from watching the impact her father, a school counselor of 35 years, had on those with whom he worked. His death in 2008 was a wake-up call to her to figure out her dream job. It turned out that was she really wanted to do was to be a counselor. 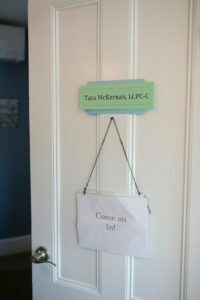 As a counselor, Tara works with individuals of all ages. She has experience working with anxiety, depression, disordered eating, grief, relationship issues, ADHD, learning differences, and High Functioning Autism. Tara works from a variety of theories, believing above all that all clients are their own best expert. She meets clients where they are, builds relationships and then works with a client to help them achieve the change they seek. It is likely that Tara will use aspects of Feminist Theory, the Social Constructionist view of development, Ecological and Narrative Theory as well as Cognitive Behavioral Theory in her work with clients. Overall, Tara believes that the world shapes the person as much as the human shapes the world. In addition to her work with The Counseling Collaborative, Tara is a school based mental health counselor at the Mount Desert Elementary School. 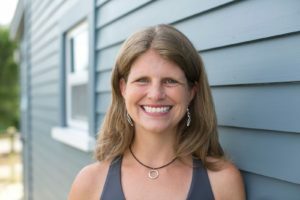 Tara is a licensed clinical professional counselor in Maine and has maintained her special education teaching certificate. Tara graduated from Miami University of Ohio with a Bachelor of Science in Special Education. She has her Master of Education in Mental Health Counseling from the University of Maine, Orono. Tara grew up in Ashland, Ohio and then moved to Maine in 1999. She is an avid reader and likes to dabble in writing. Whenever she gets a chance, she will jump in a lake for a swim, head out on a hike, ski down a mountain or around a carriage trail. Camping out with friends and going to hear live music are two activities that make her incredibly happy. She currently resides in Town Hill with her husband and eleven year old son. She is lucky to hike, swim, camp, read and listen to music with them all of the time.